On January 13, 2016, police found the body of a 31-year-old man, who had been dead for “at least” 12 hours, in a car parked on Pike Street in Capitol Hill, Seattle. He had died from a drug overdose in the shadows, which is common, as drug users often are too ashamed to seek help or use in the open. In the United States, 52,404 people died from overdoses in 2015. In the eyes of some, this man’s death would have been preventable if he had attended a harm reduction facility—a new typology emerging in the developed world. Just over 100 miles away from Seattle, in Vancouver, one such facility oversees at least one overdose incident every day, on average. In its 14 years of operation so far, the facility has seen more than 5,000 overdoses, yet no one has died there. 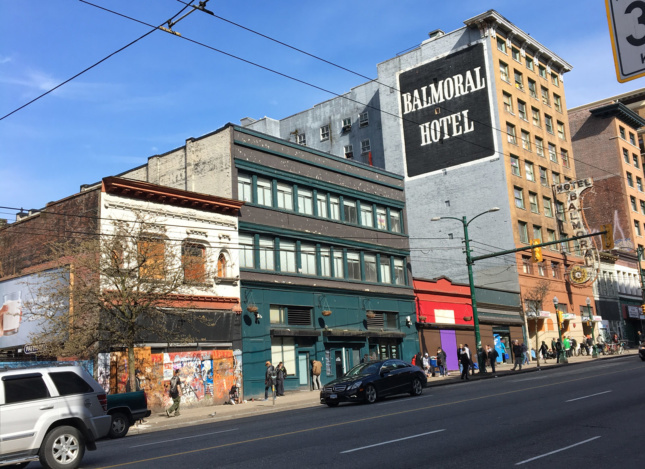 The facility, called InSite, is a public place where drug users can go to consume their own substances in a safe, secure, and welcoming environment in Vancouver’s Downtown Eastside. For 13 years, the self-described “supervised injection facility” was the only one of its kind operating legally in North America. As of this May, three more facilities—all in Montreal—received approval and two are scheduled to open later this year. There are now more than 100 legally operating supervised injection facilities across the world, the majority of which can be found in Continental Europe. The first opened in Bern, Switzerland, in 1986, and many European cities have slowly been adopting similar schemes. None currently exist in the United States, but several models operating abroad and one prototype stateside might offer clues about how to make these places palatable for a U.S. political environment that is more centered around fighting a war on drug “crime” than on treating addiction as a public health issue. Three-phase-oriented circulation is a constant throughout almost all official drug-consumption spaces and can be summarized as: pre-consumption, consumption, and post-consumption. Upon entering InSite, visitors are greeted by a receptionist. After providing a name (which can be fake), they are asked if they want to inject or detox and then are placed on a waiting list. The wait time is approximately seven minutes. According to Marilou Gagnon, a nurse at InSite and an associate professor at the School of Nursing, University of Ottawa, this is the period when InSite sees some visitors leave to shoot up outside, in a nearby alleyway, often using puddles to clean their needles. “Needing to get a hit is like having chopped your finger off—you’re not going to want to wait very long or travel very far to fix it,” Gagnon said. Vancouver is a city of alleyways, and drug users favor them because they are discreet and easy to find. As Gagnon explained, however, this is problematic for two main reasons: Shooting up in an alleyway is unhygienic, and if you overdose, it’s not a great idea to be hidden. Designing for anonymity and privacy, unfortunately, is paradoxical to health and well-being in the context of addiction. There is no hiding at InSite, but this is a good thing. Within the injection room, there are 13 booths, which line the interior perimeter, allowing nurses a clear line of sight into each. 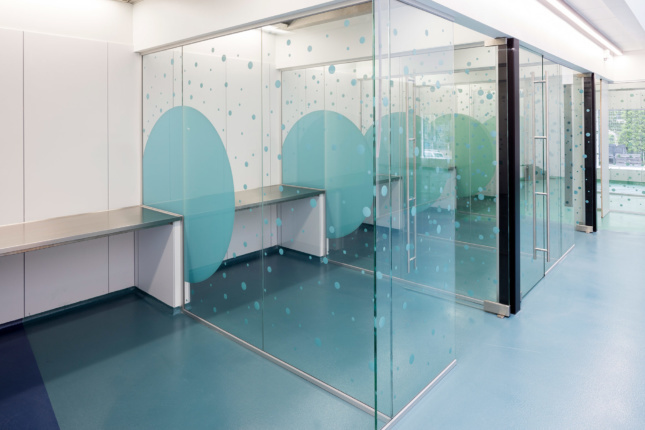 These booths, each with their own lights, are mirrored to provide nurses and users with better visibility; this is particularly important for users, to help them avoid being surprised by approaching staff and when injecting into their necks. (Staff are not allowed to actually inject for users but can provide advice, prepare drugs, and clean needles, among other things.) Additionally, female users, who on average constitute a quarter of the visitors, often use the mirrors to do their makeup. As the designer, McEwen also specified comfortable and easily cleanable chairs. “This may be the best seat users sit in all week,” he said. After injecting, users exit to a “chill-out” room, where they can speak to peers (usually former users), counselors, and nurses and find out about detox programs. Maynard stressed that visitors only enroll in such programs of their own accord. To avoid public conflict, almost all facilities have anonymous facades, with little or no signage. At InSite, zoning requirements for storefront retail meant the facility had to pretend to be a coffee shop to get development approval. More recently as a trial, the Canadian government funded the Narcomane Research and Help Center in Montreal, which provided heroin to registered users—a first for North American facilities. It was shrouded in secrecy at the time, and is now closed. “Not even the neighbors knew about it,” said its architect, Ron Rayside. The sight of InSite, though, is in need of work. According to Maynard, the facility is operating at above full capacity, sometimes seeing more than 1,300 visitors a day; Hannah Leyland, a Master’s student covering InSite in her thesis, described it as looking “low budget,” noting chipped paint. InSite has annual operating costs of $2.15 million. A 2010 study into its financial wellbeing touched upon how the facility’s hygienic provisions prevent HIV infections. The study concluded that if InSite were closed, HIV infections would increase by 46 percent, costing Canadian taxpayers $12.9 million (CDN$17.6 million). In the U.S., however, a cheaper solution is more politically viable. Dr. Gregory Scott, a visual sociologist, who has 17 years of experience in the field of drug-use harm reduction, is pursuing this route. He is traveling the U.S. with SAFE SHAPE, a “pop-up public health exhibit” that acts as a mock safe-injection site. Scott designed SAFE SHAPE with architect Andrew Santa Lucia, of Portland, Oregon–based firm Office Andorus. 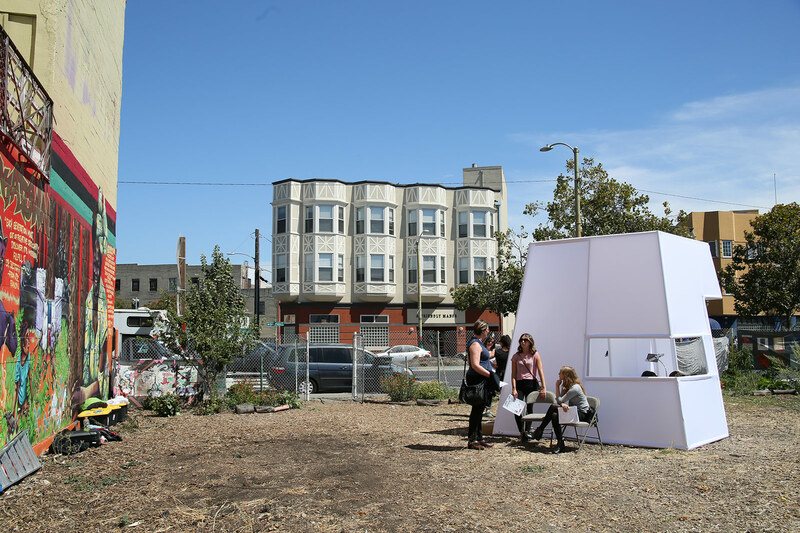 The ten-square-foot pavilion uses two-inch-thick aluminum tubes to compose a white frame over which a bright-white, translucent spandex shell is stretched. It weighs less than 100 pounds and can be broken down and packaged into four ski bags and two storage tubs, allowing it to be easily transportable by plane. “For me, design and aesthetics become heavily politicized in terms of the stigma associated with drug addicts,” said Scott. He wanted something that didn’t leap out at people as a place for users, instead adopting a “high-design” look that, semiotically, didn’t reference preconceived ideas surrounding drug addiction. “Using a taut skin, we were able to produce a bright image that stands out in almost any landscape and becomes an icon,” explained Santa Lucia. So far, only one SAFE SHAPE has been built. Scott erected the pavilion in Chicago as an actual consumption facility for both injectable and smokable (usually crack cocaine) drugs, albeit temporarily and illegally. Despite its small size, SAFE SHAPE is able to cater to two injectors or three smoking users at a time. The latter is a rarity for the harm reduction typology, due to issues of ventilation. SAFE SHAPE’s varied-height apertures, however, allow for such use. Additionally, its size may be an advantage in terms of providing a safe place for drug consumption that can cater to drug users quickly and efficiently, but one thing SAFE SHAPE doesn’t provide is permanence. 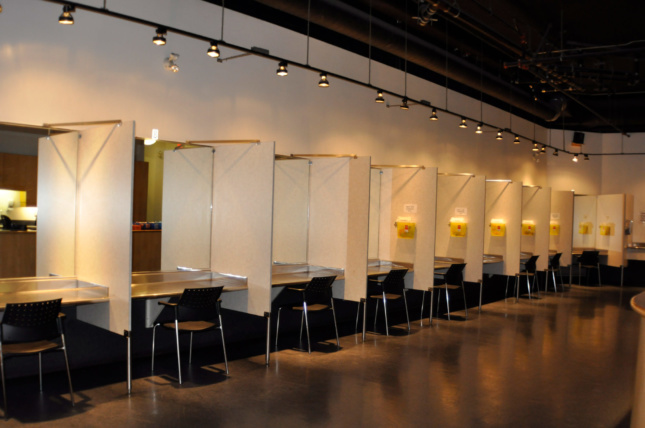 Many visitors to drug-consumption spaces do not have registered addresses, and time spent in such facilities can provide private moments to feel at ease and escape street life. PLH used a technique the firm calls “nudging” to encourage visitors on a linear path through the building and to separate pre- and post-consumers. “There are no 90-degree or smaller corners,” explained Lars Toksvig, a partner at PLH Arkitekter, which worked on H17. 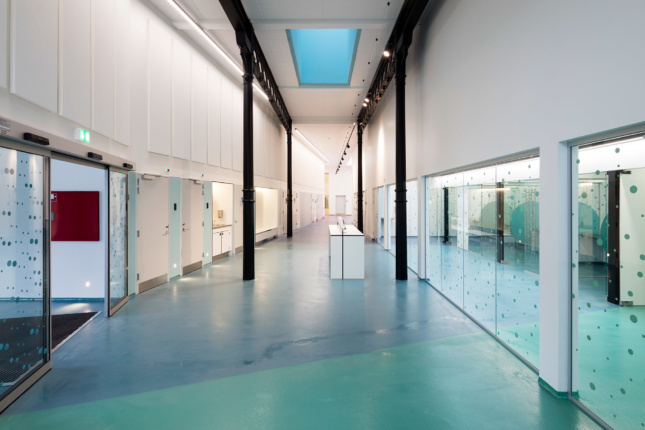 The facility’s entrance is open and employs a palette of cool “calming” colors. 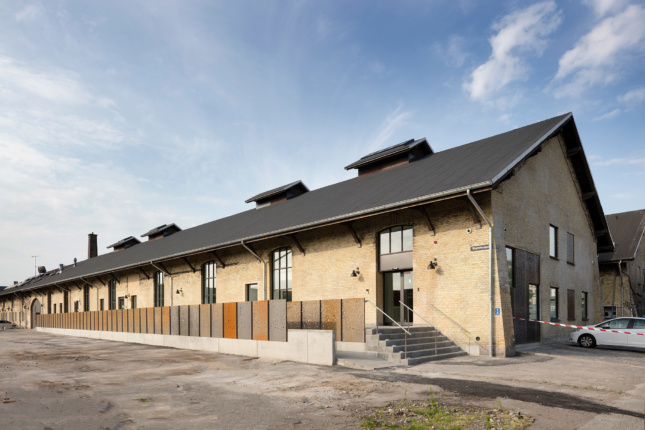 In Canada, some architecture firms are becoming more familiar with designing injection sites. Rayside said his Montreal practice, Rayside Labossière, has worked on five such facilities, most recently Spectre de Rue and CACTUS, both in Montreal and on course to open this year. 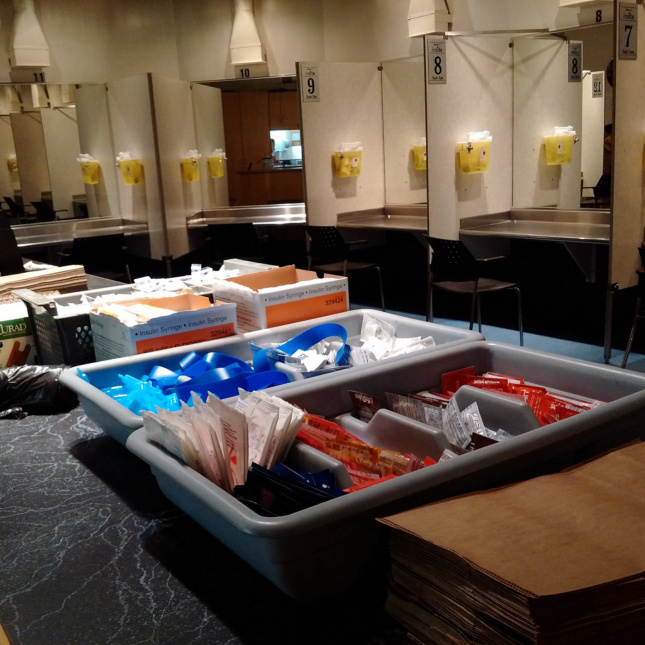 Meanwhile, back in the U.S., in Seattle, King County Executive Dow Constantine and Mayor Ed Murray granted approval for two injection sites, officially known as “Community Health Engagement Locations.” The two facilities could be America’s first. Currently, officials are in the process of finding the right locations and working out funding. However, according to Mark Townsend, former executive director of the PHS Community Services Society, NIMBYism can slow proceedings. “Ideally, you want these spaces established before there is an overdose epidemic,” he said. In addition to saving lives, drug consumption facilities can serve as paradoxical stepping-stones toward detox. 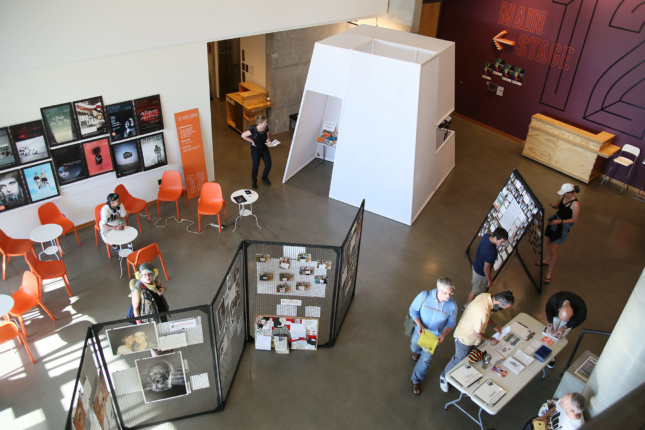 They bring the very real work of designing for harm reduction into the public eye, while also providing private, dignified spaces that benefit both users and nonusers. Though these facilities are sadly only born out of crises, the progress in their design represents a change in public and political attitudes, an area in which the U.S. still has a long way to go.